Revitalizing hair treatment with rosehip and amaranth, which strengthens treated, dry or weak hair. If you have treated, dry or weak hair, try a hair treatment that improves the condition of hair fibres using proteins, smoothing them and restoring flexibility to the outer layer of the hair. Rosehip oil and amaranth – essential fatty acids, vitamin A and vitamin C – are among the beneficial ingredients used in this product. We recommend regular use of Repair Treatment Rosehip & Amaranth Use: Apply to freshly-washed hair, leave for 3 minutes to take effect, and then rinse thoroughly. Use at least twice a week or as required. Suitable for all hair types that could use a little extra help. Multifunctional oil for skin, hair and the senses. Active ingredients and benefits: Aroma essences from blue chamomile, Roman chamomile, wild chamomile, patchouli, benzoin Siam and bergamot. Do not expose to direct sunlight or heat. 100 % vegan, contains organic fruit, vegetables and herbs. No parabens, MI/MCIT, preservatives, artificial colours or silicone. Not tested on animals. Active ingredients and benefits: Aroma essences from lemon, sweet mint, juniper berry and cypress pine. Suitable for use during shaving (refreshing and antiseptic). Active ingredients and benefits: Aroma essences from patchouli, cedarwood, bergamot, rose geranium and lavender. Active ingredients and benefits: Aroma essences from orange, lavender and rose geranium. PatchouliCedarwood, Chamomile, LemonSweetmint and OrangeLavender are organic oils that have been carefully blended and adapted to ensure the ultimate in care and wellbeing using nature’s own ingredients. The aromatic fragrances and the properties of the oils have a particularly noticeable effect on the skin. The aromatic oils can also be used in conjunction with other ZenzTherapy care products. The four multifunctional aromatic oils, which have an effect on skin, hair and the senses, are all based on a carrier oil produced using jojoba oil and sesame oil. 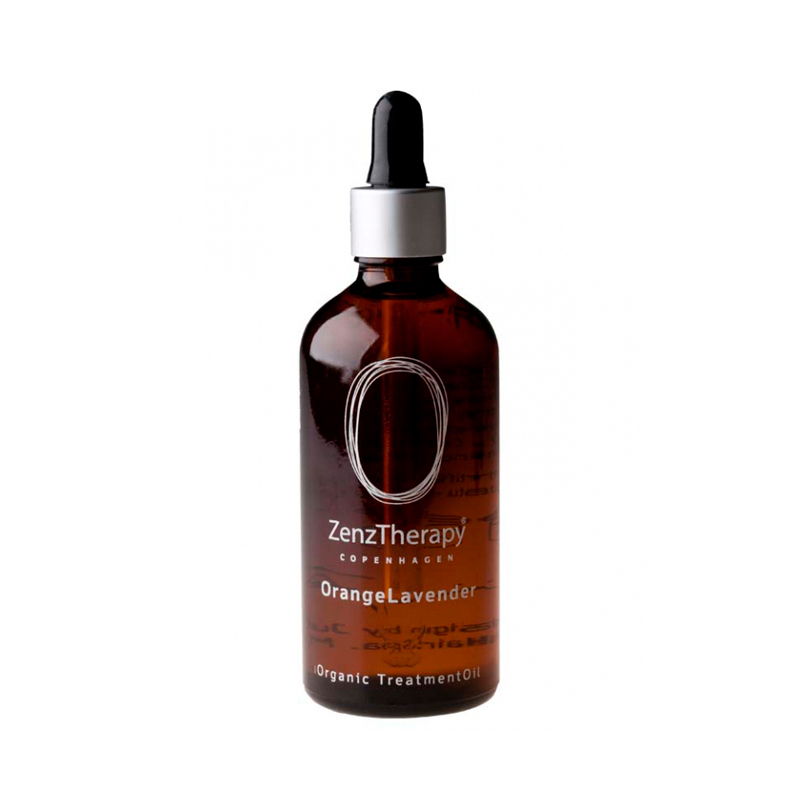 Jojoba oil is a natural oil and the one that most closely resembles the skin’s own natural oil. For damaged normal to thick hair we recommend perhaps adding a little Orange-Lavender Oil to Repair Treatment Rosehip & Amaranth to achieve an additional softening and smoothing effect. Massage 3-5 drops of the appropriate oil into clean skin – morning and evening. For soft, smooth skin. Finish by applying day or night cream with SPF protection. This oil is best applied to the skin just after a bath or shower and leaves skin comfortably soft and with a beautiful sheen. Mix the appropriate oil with cane sugar to form a soft, loose paste that can be massaged onto the skin; suitable for face, hands, feet, legs and arms. Cane sugar in combination with the oil helps to exfoliate and gently soften the skin. Rinse off the sugar and oil with water once exfoliation is complete. Minimizes irritation during shaving. To soften hairs prior to shaving, apply the oil to warm, damp skin and massage in. Add some oil to a bath or footbath and enjoy the aromatic scents as your skin is pampered by the oil itself.